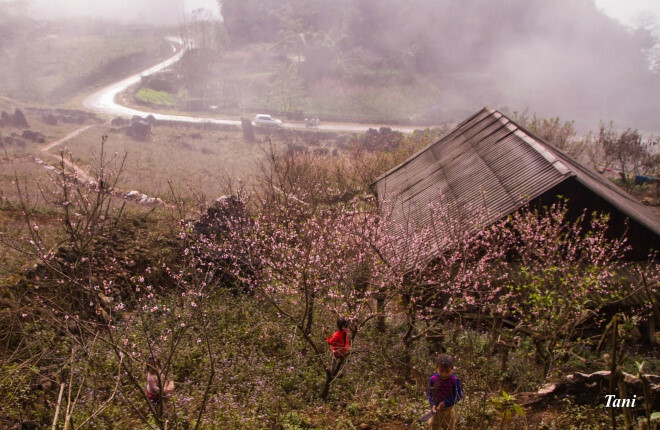 Breathtaking beauty of peach blossoms along the road from Son La to Sapa in the northern province of Lao Cai. 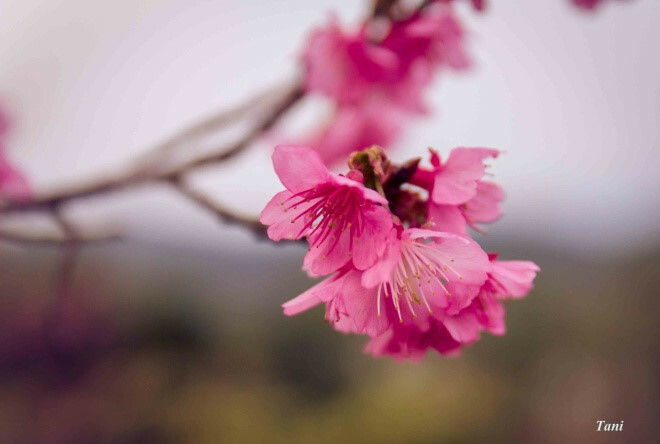 Wild peach trees blossom in chilly weather, mainly from December to February. 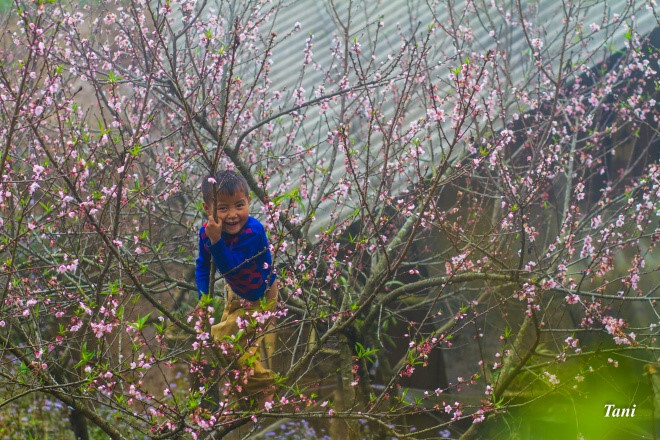 Children are playing in the wild peach forest. 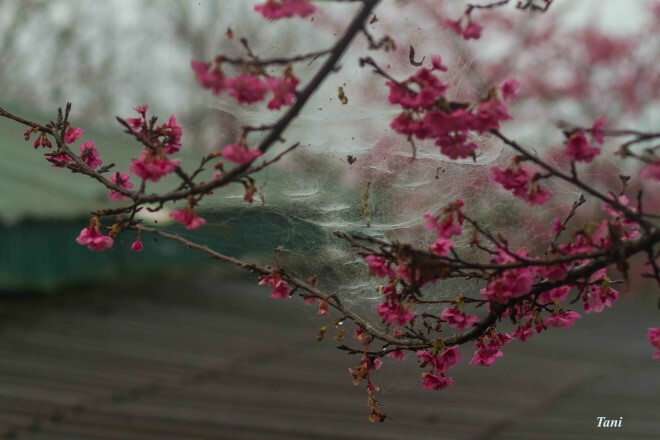 Wild peach trees will leave them an unforgettable memory of their childhood. 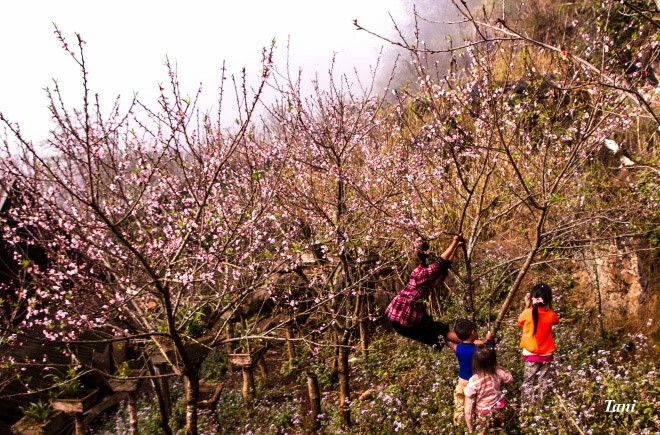 o watch the most beautiful peach tree forests, tourists are recommended to go deeper into the villages through rugged paths and will be rewarded for the romantic scene.